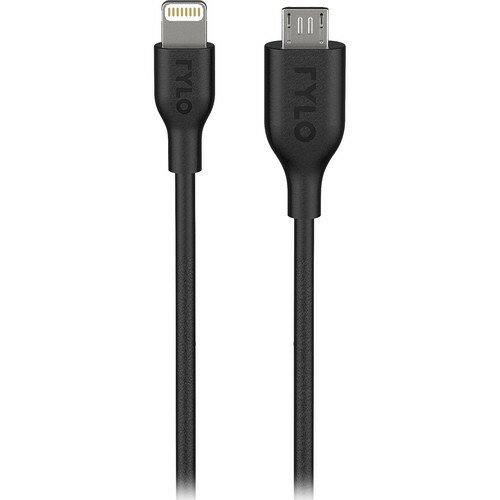 The black, 12" Rylo USB Micro-B to Lightning (iOS) Sync Cable enables you to transfer video and photos from your Rylo 360° camera to your iOS device for viewing and editing with the Rylo app. 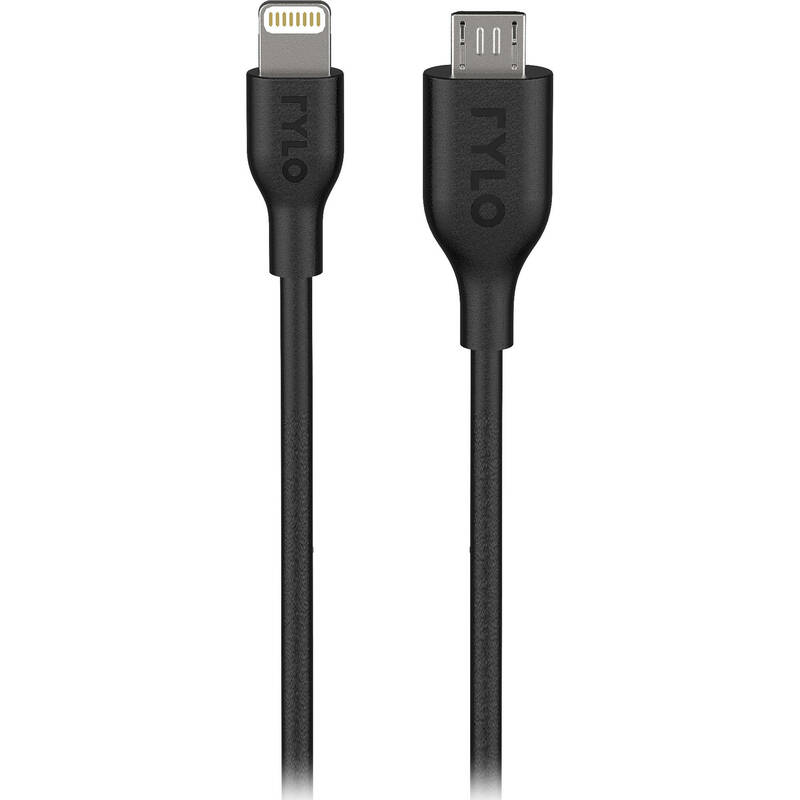 The cable features a USB Micro-B connector on one end and a Lightning connector on the other. Box Dimensions (LxWxH) 4.0 x 2.0 x 1.0"